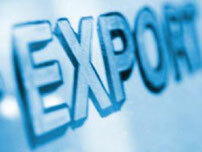 EXPORT - Торговый дом "Вигор"
Main directions of supply: Moldova, Poland, Georgia, Armenia, Azerbaijan, Tajikistan, Turkmenistan, Uzbekistan, Kazakhstan, Kyrgyzstan. Sheet hot-rolled, steel grade 1 – 3KP / PS, in accordance with GOST 19903 - 74, 16523 - 97, 14 637 - 89 of the following sizes: 1.9-7.8 х 1000 -1500 х 2000 -6000 mm. We also have the possibility of supplying a cold-rolled tape GOST 19851-74, sheet hot-rolled with lenticular corrugation GOST 8568-77, bent profile in assortment and other productsof Zaporozhstal Steel Works manufacturing. Delivery is carried out with wagon standards.